The Type 4292P Yardmaster Pup Controllers incorporate heavy-duty time proven components arranged to provide optimum control of your lifting magnets. 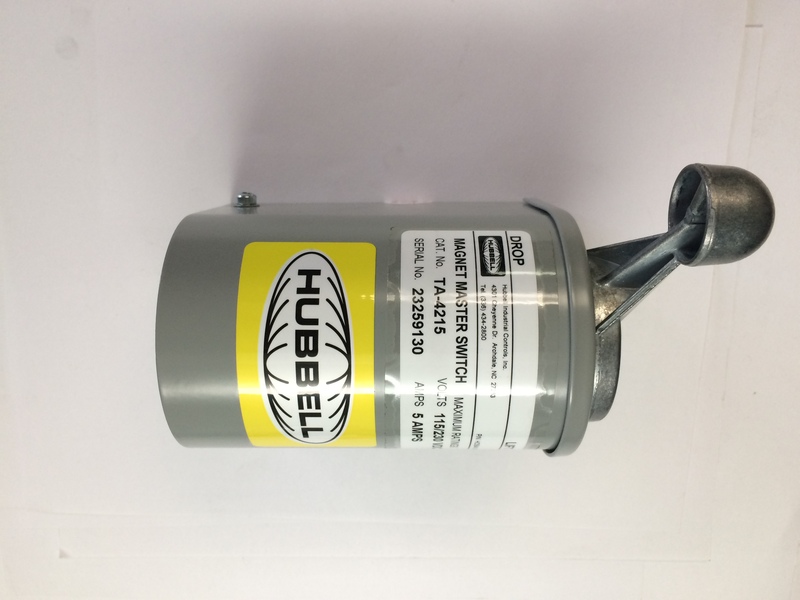 A mechanically rugged high thermal capacity discharge varistor assembly is permanently connected in paralled with the magnet and provides a safe discharge path for the stored magnetic energy. With Yardmaster Pup magnetic controllers induced voltage cannot return to the line, permitting rectified power supplies to be used without the added expense of special protective loads or bypass circuits.  High-Thermal capacity varistor discharge path.  Rated 5-50 amps DC.  Peak magnet induced voltage limited to under 700 volts.  Mechanically interlocked "Lift" and "Drop".  Long electrical contact life.  NEMA rated mill duty contactors.  Permanently connected 700V discharge path completelty independent from the line that protects magnet and generator.  Dribble control standard on 115V & 230V controllers.  Ventilated Indoor/Outdoor NEMA 3R Enclosure. Mechanically Interlocked "Lift & "Drop"
Cabinet Dimensions 15" High 24 Wide" 12.5 Deep"